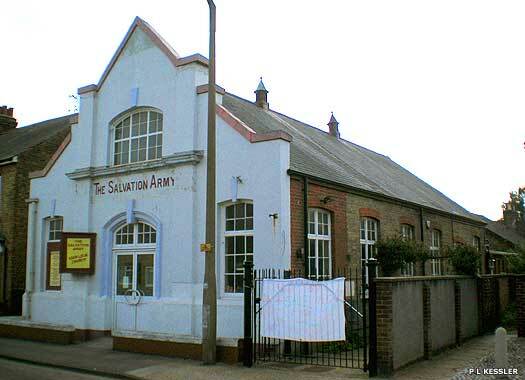 The Salvation Army hall in Waltham Abbey lies on the western side of Sewardstone Street, midway between Fountain Place and Wollard Street. The Army arrived in 1885. They first met in Quaker Lane, and in 1909 they built a hall in Sewardstone Street. A Brethren community, formed before 1877, met at the Quaker Lane Plymouth Brethren Church, before moving to Silver Street. Broomstick Hall Road Gospel Hall, existed from 1937 until falling out of use. 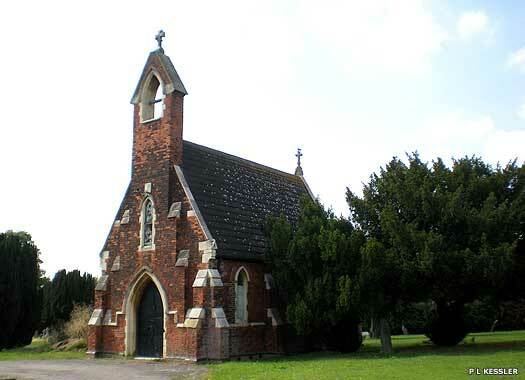 Waltham Abbey Cemetery Chapel lies inside the cemetery, on a large plot on the western side of Sewardstone Road, abutting the M25 on its northern edge. The building is late Victorian, a mixture of rough red brick and stone trimmings, but it is slowly deteriorating due to time and vandalism. The window above the entrance has been smashed in several places. The cemetery was opened in 1856, while the chapel was built some time after 1887, and probably before 1900. 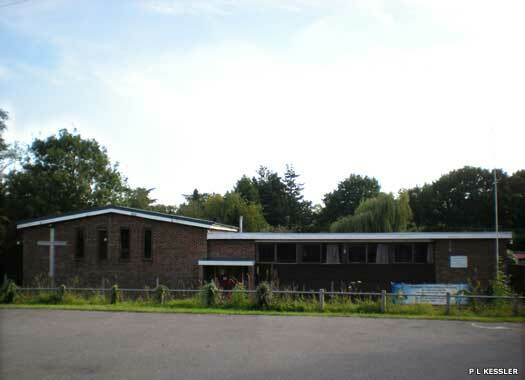 St Giles Church is a modern building which lies on the southern side of Nazeing Road, about a hundred metres (yards) west of the junction with North Street and sited on the far side of a car park. 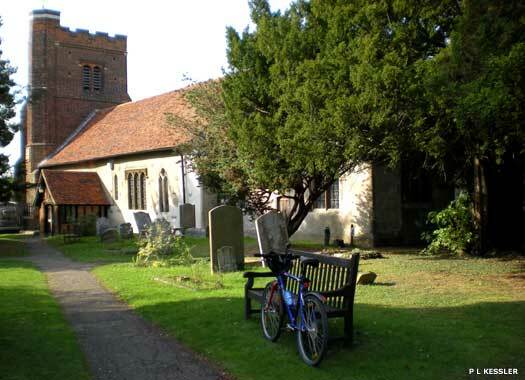 The church, which is in Lower Nazeing, doesn't seem to have a long history. It was probably built as a chapel of ease for All Saints & St Giles (see below) to serve new communities on the western side of Nazeing. The building was probably erected in the 1960s or 1970s. 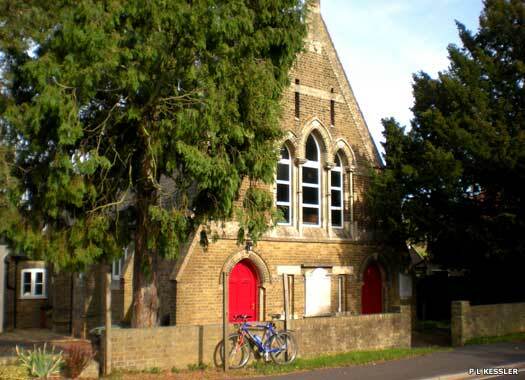 Nazeing Congregational Church can be found at 20 Middle Street, on the northern side of the street, opposite Perry Hill on the eastern edge of the village. The church was founded in 1795. In 1797, the house of James Ford was licensed for Independent worship, probably due to missionary activity by the Countess of Huntingdon's college, which had moved to Cheshunt in 1792. A chapel was built in Middle Street in 1816. The present church was erected in 1876. 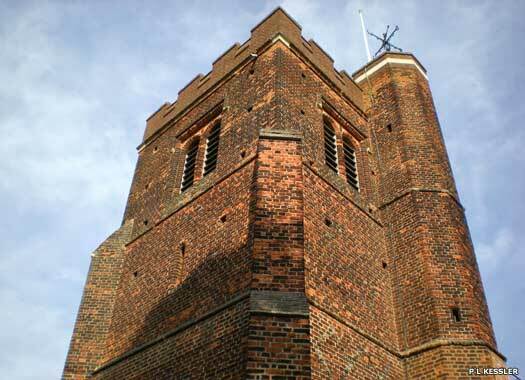 All Saints & St Giles Church, Nazeing sits at the top of Betts Lane, off the junction with Hoe Lane. There was a sizeable Saxon population here from the middle of the sixth century, in a settlement known as Nassingam by the 1000s. In later documents it became Nasinga, Nazing, and then Nazeing. 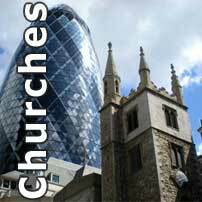 The church building that was here at the time of Domesday was probably wooden, and has not survived. The present Norman church was built in the thirteenth century. The flint and rubble church gained its brick tower in the fifteenth century, and the timber south porch (seen in the previous photo) was added at the same time. The building probably also gained its north aisle and chancel too, while being extended for a growing congregation. A considerable amount of restoration work was carried out in 1871 and 1894, when the north vestry was added. The porch was also completely restored, in 1928 by Frederick William Green.